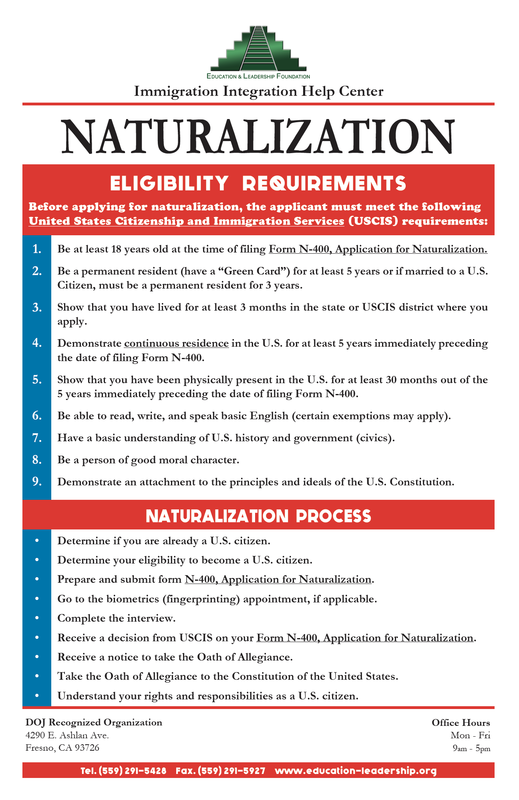 Naturalization is the most common process by which U.S. Citizenship is granted to a foreign citizen or national after he or she fulfills the requirements. 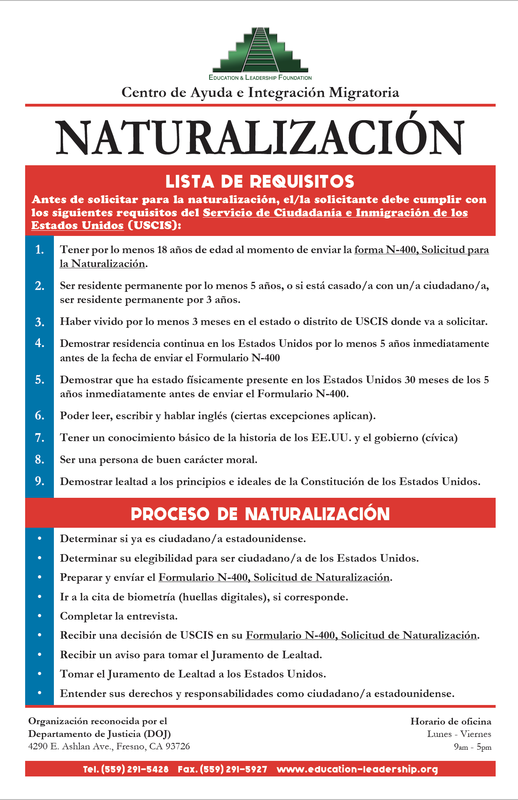 You may qualify for naturalization if you meet the criteria described in the guide below. FOR ADDITIONAL INFORMATION REGARDING THE STATUS OF THIS PROGRAM, PLEASE CONTACT OUR OFFICE OR SCHEDULE AN APPOINTMENT.